"My goal is to help women achieve success through action." I founded Beauty in Truth Life Coaching in 2012, I am a Certified Life Coach who created my own life coaching practice out of my beliefs and passion to help empower women. I received my Bachelor's Degree from Arizona State University with a Major in Psychology, a Master’s Degree from the University of Phoenix in Counseling. As a Certified Life Coach I have provided workshops, company-wide training, and was a speaker for Southwest Behavioral Health Services, Microsoft Women in Business, Hamzaban Foundation, Persian American Women of Arizona, Arizona State University, Arizona Archery Club and the Grand Canyon Conference. In 2012 and 2013 I launched two a highly successful women’s day workshop (Beauty in You), which was a day to touch, move, inspire and empower women. Currently I'm on the board of The National Advocacy &Training Network (NATN) which is an international network of survivors, volunteers, advocates, staff and professionals working collaboratively to end domestic abuse, sexual assault and substance abuse. I am a contributor to Paradise Valley and Scottsdale Independent newspapers, and Arizona Health and Living Magazine, Discover the Region Phoenix and have aired on radio shows. I am currently working on many new and exciting projects! I have over 16 years of experience in the area of women’s empowerment. I specialize in coaching women to be more empowered and transformed to their full potential in all areas of life. I provide services for individuals, institutions, businesses and corporations and am dedicated to helping clients create success from the inside out. For the past seven years I helped countless numbers of women discover and embrace their strengths through my positive thinking groups and individual coaching sessions. I love investing my time speaking at various conferences and teaching women about how to live in the now. I also provide company-wide training on cultural competency regarding issues such as how to create more awareness towards the Middle Eastern cultures, for example. My mission is to empower women so they can create new possibilities for themselves. I believe that the more women embrace their strengths and feel empowered, the more they will be able to utilize their skills, knowledge and experience to create an amazing tomorrow. I believe that each of us has the wisdom and power within us to make our lives be what we want it to be. I see the coaching relationship as an alliance, a partnership, and a process of inquiry that empowers clients to reconnect with their own inner wisdom, and to find their own answers. This journey allows clients to rediscover how to make clear choices in which lasting changes are allowed to flourish and grow. I bring a combination of depth, warmth and humor to my coaching. Whether working with individuals or groups, my ability to effectively engage the audience with an insightful and down-to-earth approach, creates a supportive environment that delivers results. My intuitive skill and empowering questions guide my clients to the heart of the matter with ease. I reside in beautiful Phoenix, Arizona with my family where I enjoy an active and healthy lifestyle with a passion for foreign culture and the arts. I have personally benefited from the coaching process by transforming my own life. This experience allows me to easily connect with my clients. I maintain a life that is consistent with my values and my inner purpose. I am committed to helping empower and inspire women to live up to their full potential as I facilitate a loving change in the world, one person at a time. As a life coach and empowerment activist, I focus on women and their impact on the community. My passion toward women’s empowerment is what motivated me to become a life coach and my clients are all women for that particular reason. I want to help women have better lives and increase their self-esteem so they are able to create whatever they want to create in their life. 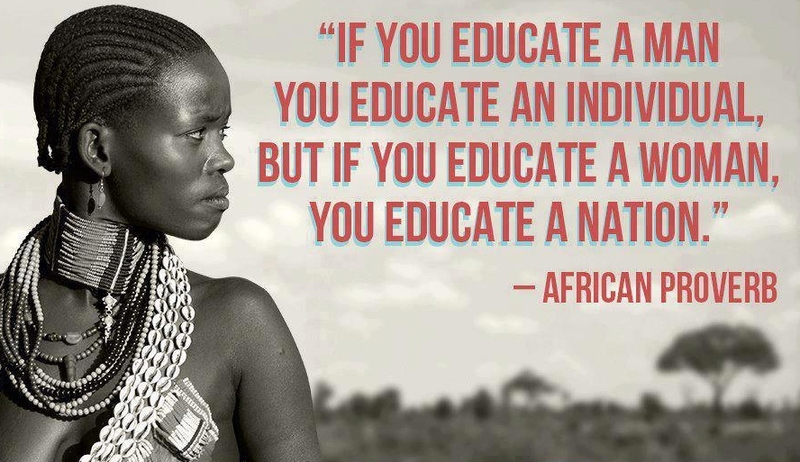 Women are the educators of the future generations. If women are empowered, there is more of a chance that there will be healthier families, more awareness and more education provided to their children. "Nassim is a phenomenal coach and an even more incredible human being. She brings that rare combination of intellect, empathy and a commitment to results that only great leaders possess. Working with her is an immense privilege and the impact she helped me create for myself is indescribable. If you want to empower your life, get to know Nassim." "Nassim has clear vision and a tremendous work ethic. She has a true passion to empower women of every background and is very adept at getting wonderful teams of people together."